Letters from Missouri Corn leadership, program updates, highlights from 2018 and a list of board members. Corn is doing to protect your right to farm. This publication from the University of Missouri Extension is designed to assist producers facing drought-damaged crops and limited feed options. Year in review, letters from Missouri Corn leadership, programs highlights and a list of board members. 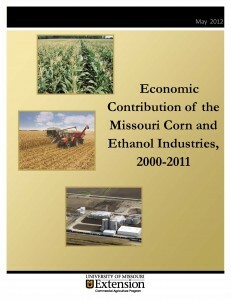 Check out the latest stats and facts about Missouri corn and ethanol production. Learn more about the use of E15, a blend of 15 percent ethanol and 85 percent gasoline. 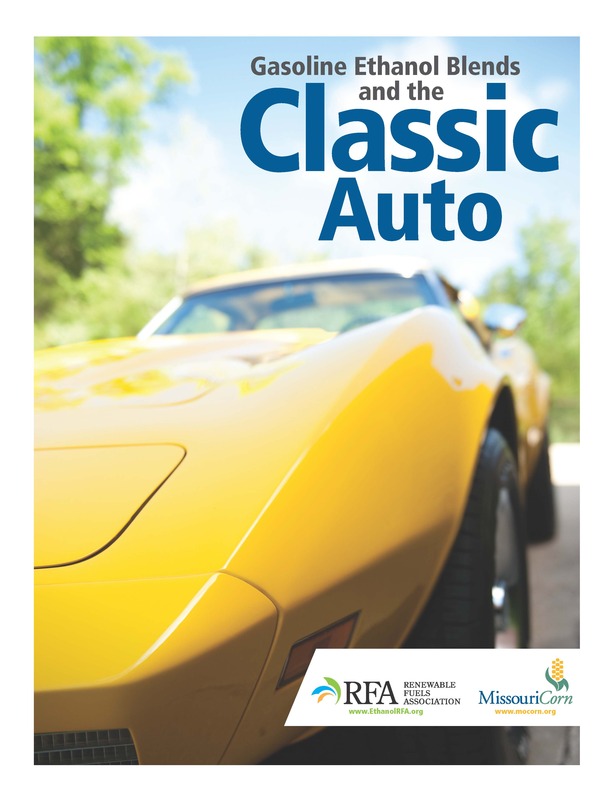 Separate fact from fiction when using ethanol in your small engines, boats and classic cars. Read about using today’s ethanol blended fuel in yesterday’s vehicles including information addressing the various areas of concerns such as the vehicle’s fuel system, long storage periods, and air/fuel settings. 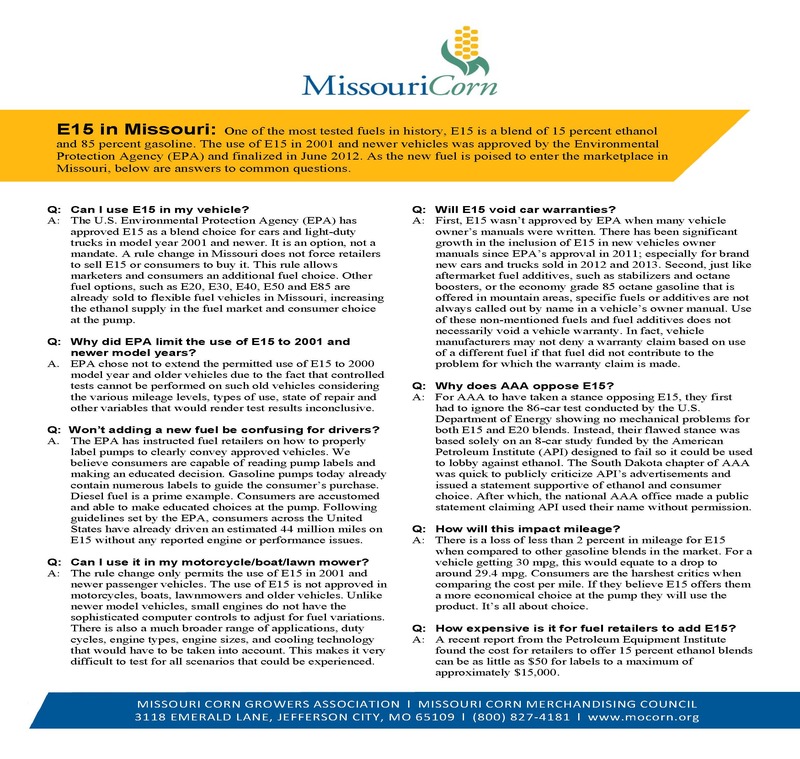 Read about the impacts Missouri’s corn and ethanol industries have on the state’s economy. Discusses corn processing co-products such as distillers grains and gluten feed and their inclusion in forage-based diets, as well as a short reference guide on storing each co-product. Discusses storage opportunities, techniques and feeding performance of wet distillers grains. 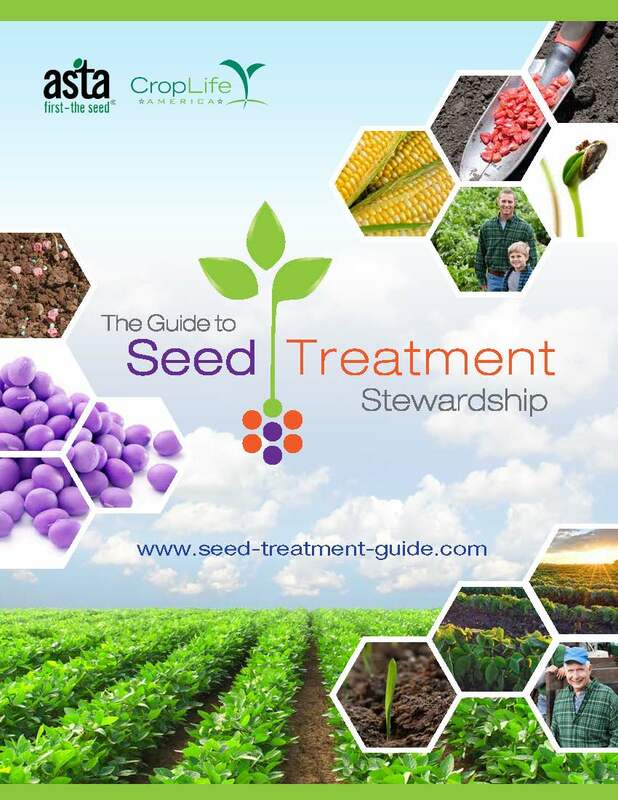 This guide is designed to provide you with essential insight on the most recent guidelines for handling treated seeds to reduce the risk of exposure to pollinators such as bees and other non-target organisms. 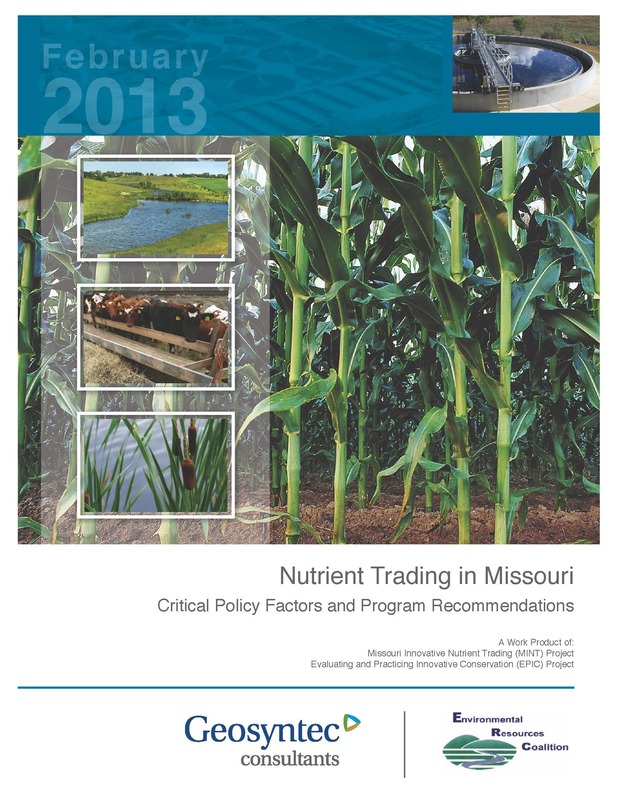 Nutrient trading framework developed for Missouri through a partnership with the Missouri Corn Merchandising Council, Environmental Resources Coalition, Geosyntec, St. Louis Metropolitan Sewer District, and USDA – NRCS. This study looks at the benefits of nutrient trading to both agriculture (non-point sources) and municipalities (point sources). Additionally, barriers to adoption and pitfalls to successful trades are discussed. This study should benefit the State of Missouri as it develops the regulatory framework necessary to implement nutrient trading. 2016 year in review as well as Missouri Corn programs and successes, a list of board members and program highlights. 2015 year in review as well as Missouri Corn programs and successes, a list of board members and letters from leadership. 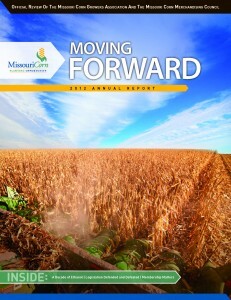 This 16-page publication provides a recap of Missouri Corn programs and successes as well as letters from leadership. 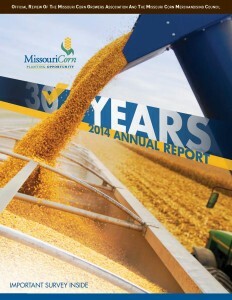 Read the highlights from Missouri’s world of corn in 2013. 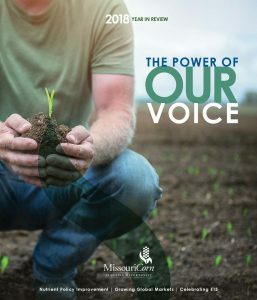 The annual report includes industry stats and facts, updates on Missouri Corn programs, production information and letters from grower-leaders. 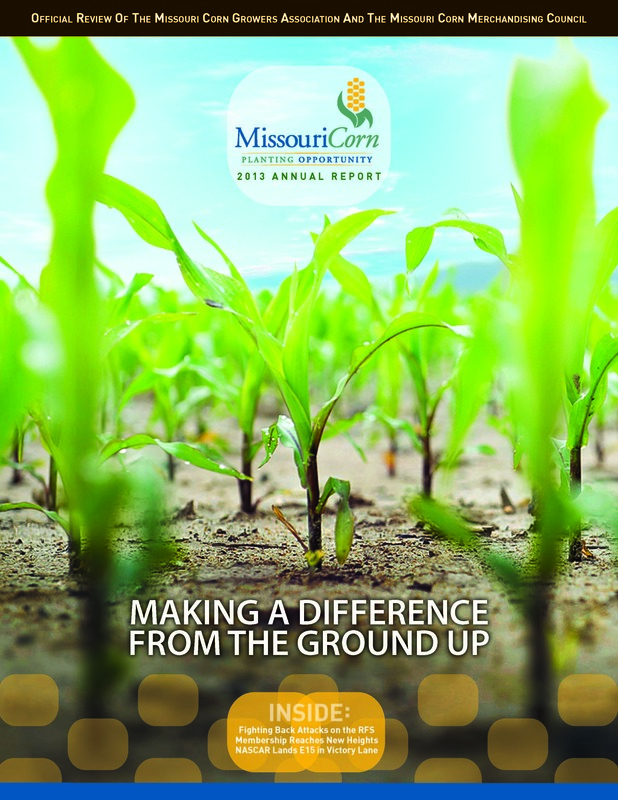 Read the highlights from Missouri’s world of corn in 2012. The annual report includes industry stats and facts, updates on Missouri Corn programs, production information and letters from grower-leaders. Read the highlights from Missouri’s world of corn in 2011. The annual report includes industry stats and facts, updates on Missouri Corn programs, production information and a word from the CEO.